The Higher Education Fair will fill the grand new Aeon Hall with a lively buzz of discussions about Cambodia’s future at the end of this month (29 – 30 September). 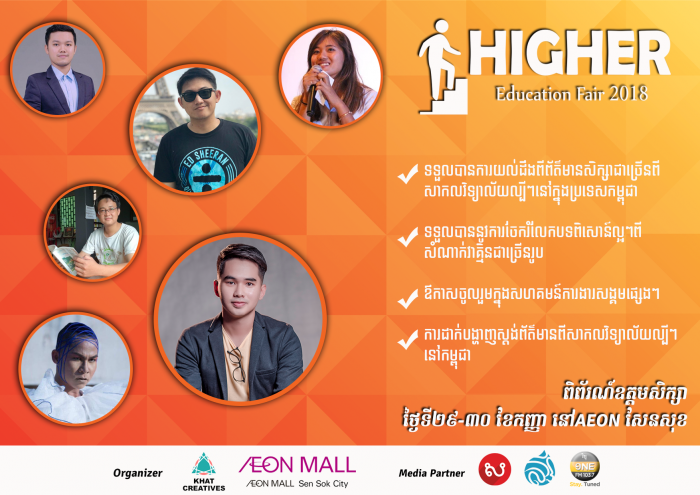 Aeon Mall has previously held education fairs at its flagship Mall but this year the company aims to fill Aeon hall at Aeon Mall Sen Sok with a weekend of informative and fun activities, discussions and workshops for students. The hall is surrounded by a diversity of stores and entertainment areas and is adjacent to popular photo-taking spot The Sakura Garden. Organizer Heam Chetra of Khat Creatives said that she settled on the tagline “Choose your next adventure” because quality higher education was an important journey of discovery to get excited about as well as being a step towards worthy employment. Co-organizer Aeon Mall representative said that there was strong interest in the Higher Education Fair as educators, institutions and businesses concerned with improving and promoting higher education opportunities in the Kingdom snapped up booths to lend support and advice. But those concerned about missing out need not worry just yet, the representatives of Aeon said. “The Hall is 30 meters by 33 meters so there is plenty of room for more ideas, imagination and advice.” She added that the event aimed to engage youth participation in the modern higher education sector, so participants could explore the growing number of opportunities available to them throughout their academic life. Apart from distinguished educators like the Department of Media Communication and prestigious companies like AIA Insurance being available for students’ questions, there will be a stage for speakers, informative entertainment – and giveaways and spot prizes. The young entrepreneur and budding filmmaker co-organizing the event knows from experience how persistence with a dash of bloody-minded individualism can lead a student to work that ignites the passions: Ms. Chetra worked in print and radio journalism and public relations before setting up her own communications agency just last year. “We all have a duty to good work. 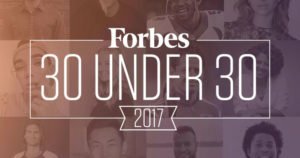 But if we want to improve students’ life outcomes in Cambodia and support a strong and vibrant society, we also have a duty to encourage future young leaders to dream, to explore and to innovate with confidence,” she said. Listening to the talented young people behind the Higher Education Fair is proof enough to this writer that work need not be a chore but the first step on a great adventure – these young trailblazers are already well on their way. Educators, businesses and other interested partners should contact to Mr. Khun Pisith, Sales Manager on 016 749 415 or 078 236 232 to secure remaining places and sponsorship opportunities.